Today’s Thursday Three Hundred sits in the heart of Uptown, within eyesight of Cole Park and walking distance to West Village just three blocks away. 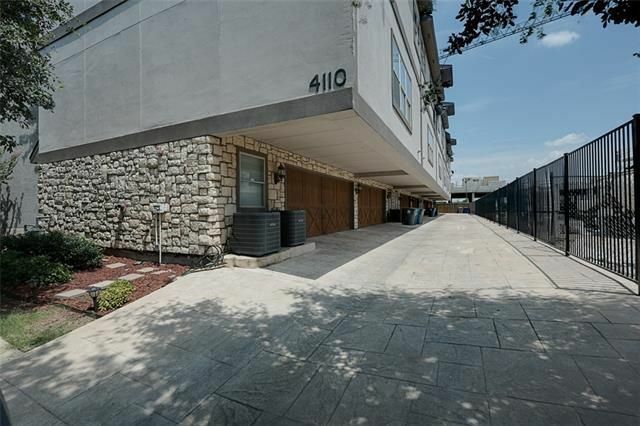 The Uptown townhome at 4110 McKinney Ave. No. 4 feels fresh and polished. 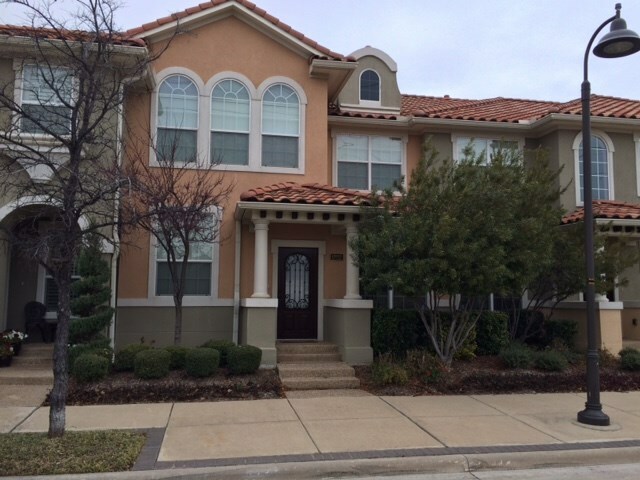 It is listed by David Maez at Vivo Realty for $369,900, with voluntary HOA fees of only $200 per quarter. That seems like an excellent deal for such a killer location and a property that’s only ten years old. 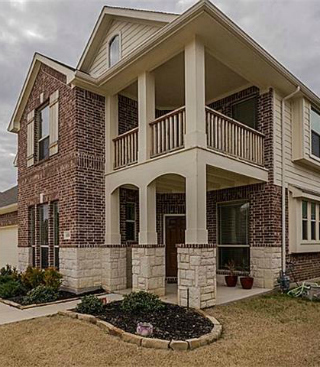 This townhome is 2,175 square feet on four stories, including a large game room on the fourth story. The floorplan is open and includes two bedrooms, two full bathrooms, one powder room, and a two-car garage. You’ll find lots of sweet amenities in this place, from granite counters and stainless steel appliances in the kitchen to handscraped hardwood floods in the living room and kitchen. The palette and decor is pretty neutral, so it will be easy for new owners to add their own touches. Let’s check out this newly listed property and see what it’s got to offer buyers. The Dallas Cowboys may be bidding farewell to Las Colinas, but homebuyers can’t get enough of this master-planned community in Irving. It’s a clean, attractive suburb with more than 190 acres of parks and greenbelts, 17 miles of canal waterways, and 10 miles of riverside hiking and biking trails. More than 33,000 call Las Colinas home, and the average house price in the community is $566,417, according to Realtor.com. 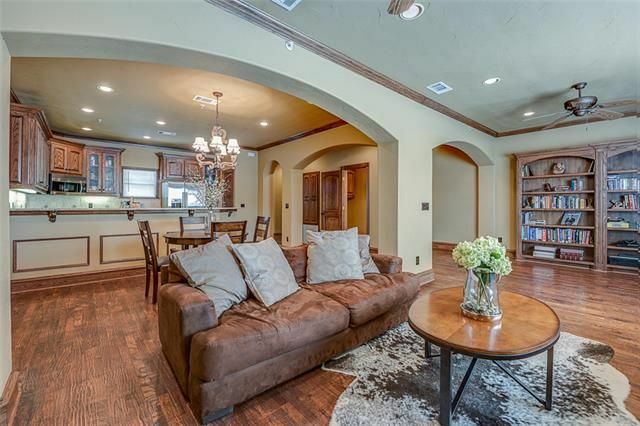 That makes today’s Tuesday Two Hundred a real find: the townhome at 6822 Oeste Dr. is newly listed by Leslie Knutson at RE/MAX Premier Group for $275,000. The price-per-square-foot of $155 is less than the Las Colinas average of $167 per square foot, and this townhome has hardwood floors, stainless steel appliances, and granite countertops. This Mediterranean-style property has stucco exterior walls, red roof tiles, and is part of the La Villita Townhomes. It has two bedrooms and 2.5 bathrooms on two stories in 1,772 square feet built in 2007 and is walking distance to the Lago de Claire and the Gran Via canal, a meandering waterway near jogging trails. 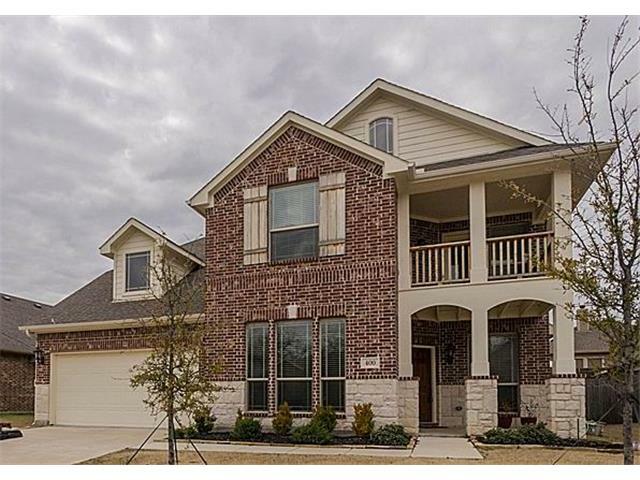 Addison is one of my favorite suburbs in DFW, with special events and festivals scheduled 29 weekends of the year, more than 170 restaurants, and 118 acres of parks. There’s always something fun to do there, from happy hours and festivals to Shakespeare in the Park and WaterTower Theatre. It’s also only 14 miles from Downtown Dallas on the Dallas North Tollway, so getting anywhere in between is a cinch. 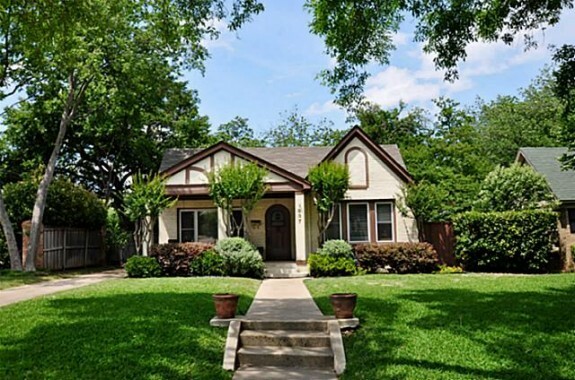 The city of Addison is small, with only 4.35 square miles of land and 15,830 residents, but they’ve got plenty of inspiring residential real estate. This is particularly true around the Addison Circle area, a modern, urban neighborhood with brick-paved, tree-lined streets, public art, and some stellar townhomes, apartments, and condos. 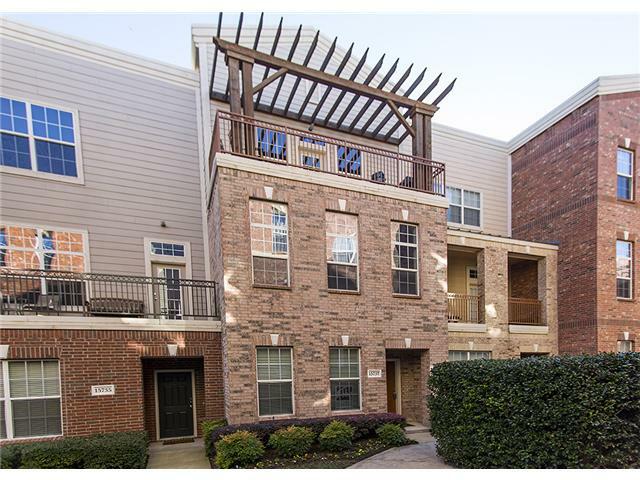 Today’s Tuesday Two Hundred takes us there to an Addison townhome at 15737 Seabolt Pl. Unit 30 is a two bedroom, 2.5 bath listed by Pamela Lewis at Ebby Halliday for $269,000 (just reduced $5,000). It has 1,922 square feet on three stories on an interior lot with impressive appointments and details; this townhome is newly listed and move-in ready. Jump to read all about it! This is a first for me. 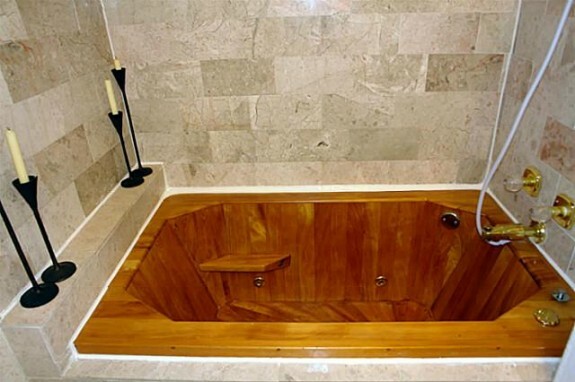 I’ve seen and lusted after a lot of tubs in my years of househunting, but I have never in my life seen a wooden jetted tub. I scoured Houzz.com all morning looking and looking for another wooden tub like the one inside the adorable Tudor at 837 Stewart Drive. No luck! So I guess you could say that this master bathroom, with travertine and all the trappings, is one of a kind. There’s lots more woodwork in this home, which was built in 1926. 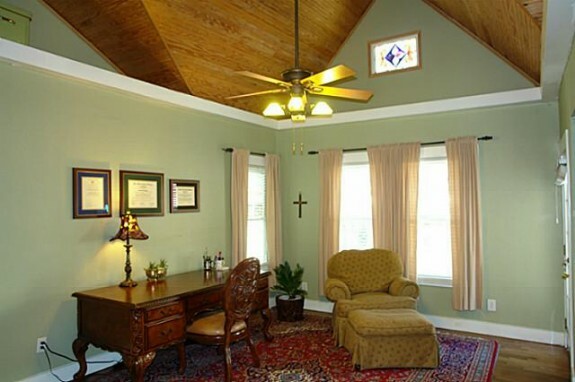 The den features a cathedral-like vaulted ceiling. There are three bedrooms, two baths, two living areas, and 2,055 total square feet all for $285,000. 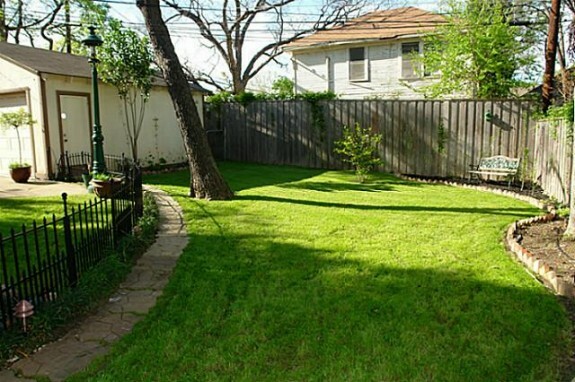 It’s marketed by some of the experts in Oak Cliff real estate, the Hewitt & Habgood Group. Other cool things I love about this house: The wood floors, the manicured backyard, and did I mention the wooden tub? 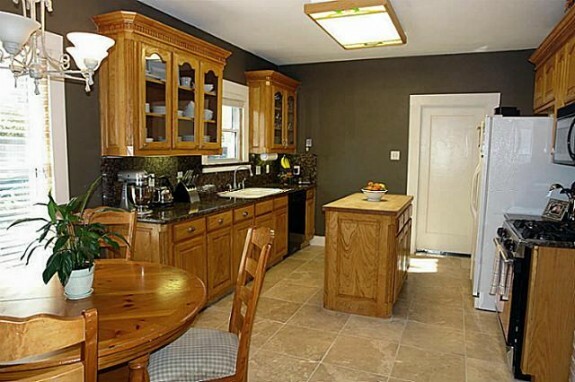 The only thing I really dislike about this home is the overhead light in the kitchen. This is 2012, folks! The overhead fluorescent light is so 1983! Otherwise, this home is an absolute gem of a Tudor!